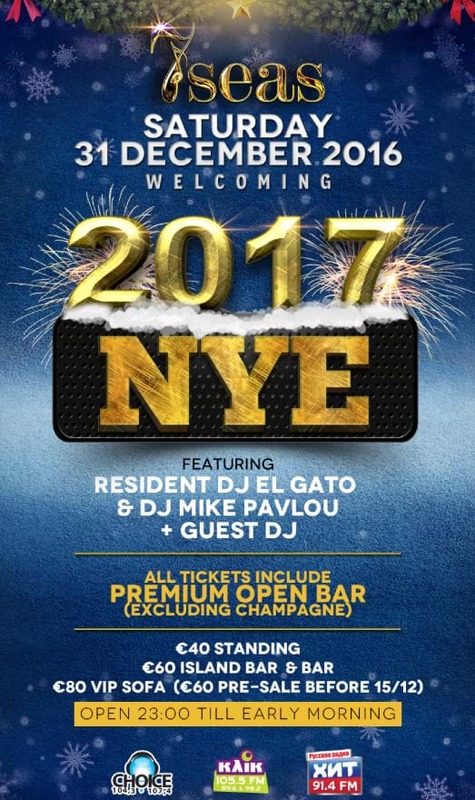 7 Seas presents another superb New Year's eve party with 3 DJs and Premium open bar. The famous New Years Eve parties at the 7 Seas have been known to be nights of nenverding party great music and a true welcome to the New Year celebrating with happiness and Joy. Doors open at 11 PM, join us early to celebrate and welcome the new years togerher. The party will continue till early in the morning. Our Residents DJs will make sure you will be dancing and celebrating all night long. Mainstream House, R&B , Comercial , 80's , 90's , Greek , Party hits. ✪Age and Dress code control is applied at the door.